This is me Sarah mum of 3: Is it ok to play with toy Guns? Is it ok to play with toy Guns? Everyone has an opinion on all issues it seems, and one sure to heat up any debate is ones involving children, there is an awful lot of rules and regulations these days, a lot of things that make our children seem to grow up so quickly. It seems childhood is an unsafe time, so many safety issues, so many rules and regulations, so much fear for their safety and so many things which we should and shouldn't be doing, that its no wonder we have a generation of mini adults, it seems it is safer and easier to get past this awkward child stage and just be an adult? One thing that has always puzzled me is societies pre conceived ideas, and boys seem to have a tough time. So many people frown on them if they want to dress in pink and grow their hair long, - you'll make them gay! But if they pick up a toy gun then your a terrible parent destined to have a yob on your hands come the teenage years. However more and more people are happy to accept their boys feminine side, infact these seem to be increasingly encouraged, but more and more the boyish behaviours are shunned for fear of violence. 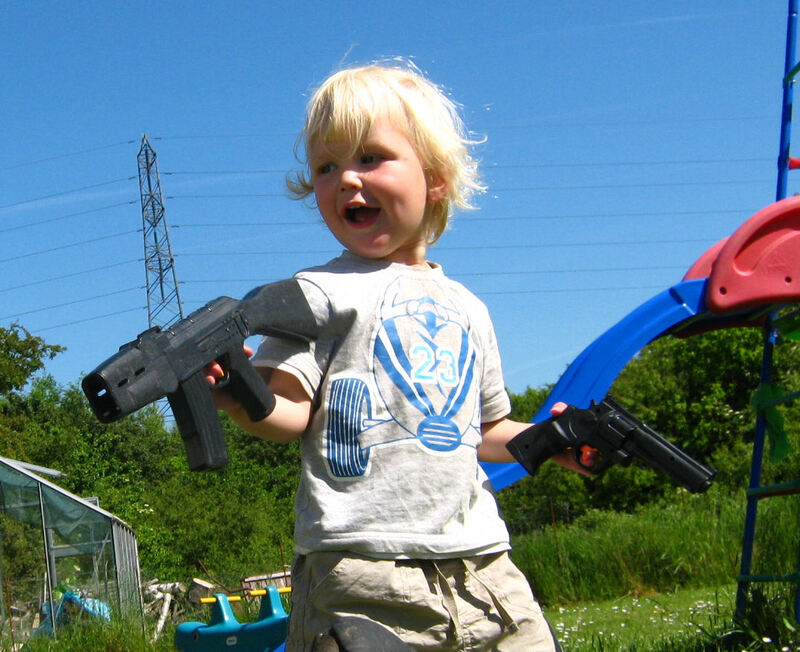 But is it really 'wrong' for children to play with guns? does it breed violence and threatening behaviour in the next generation? or are they simply exploring in a childish way, the way the world works? Learning their boundaries and indeed the role that weapons play in society. I know there is always a lot of debate about nature or nurture as far as violence and interest in guns is formed, are we as parents able to nurture our children into kind caring souls who hate anything remotely violent? Or no matter how shielded from weapons and fighting your children are, will there be an inbuilt interest in these things which will rear its head eventually, will shielding our boys from the natural interest make them obsessed with the 'banned' item all the more? Will not being given the time to explore and learn the boundaries and their strength hinder them in the future? Maybe allowing our young boys to play guns, in their childish role play make them grow up with a love of guns, or perhaps it teach them the respect needed for them? My boys love to run around with their plastic guns and role play goodies and badies, army men, star wars troopers or whatever other villain happens to come into their imagination, they fight and scrap and jump from their beds or from behind trees with squeals and yells, yes they play rough and occasionally someone ends up crying. Without 'guns' sticks, poles even their fingers become their weapons. The play fights have not made them thuggish or violent, they are also sensitive and calm and nurture their femine sides picking flowers and playing beauty parlour with their sister. So to me having the rough and ready toys available on hand hasn't made my boys more violent anymore than allowing them to role play with dolls has made them gay. Is a paranoid approach and the fact everyone seems to think things are a problem, perhaps the problem itself? maybe our children need to play with guns and run and shout and fight with each other, to learn their own boundaries and morals? Like boys have done for years before us, just as much as they need to sit quietly and pick flowers or experiment with make up to find their true personalities. i think its best to let 'little' boys be boys. Boys seem to love that sort of thing, and realistically there is no liklihood that a boy who had a toy gun as a child went on to become a gun toting teenager. Anyone who thinks that is the case is nuts. WHat does teach them that? Nonsense on the TV, war games on video, games that glamourise violence. Its about balance in the end isnt it, like you say your boys have two sides to their character and can be sensitive as well. Id say let them play and let people who (if anyone does) judge you for it come back to you in 15 years time when you have some wonderful young men. The most important thing for you, as a Mum, is to be the person and parent that YOU want to be, and not to worry about what ANYONE else thinks you should or shouldn't do. If you are happy and confident then your children will be likewise, and as mentioned above, if they want to shoot they will find anything to use. When I was a girl all my local friends were boys so I used to join in their "cowboys and indians" games, and use just my fingers to shoot with! A tricky one indeed... We currently don't have any toy guns, but that doesn't stop the Five Year old from picking up a stick and it becoming a gun! Here it's pretty common to play with toy guns, swords, axes, anything really, and you should see the tool sets aimed at 6 year olds. All real tools, no plastic in sight!! My kids have had plenty of toy guns, they have had hours of imaginary play and much fun, they have no interest in real guns or really killing anything and are very clear on the difference between reality and play. When I was little I was a tomboy. I played with all the neighborhood boys. And because my mom didn't like toy guns for a completely different reason than most people don't like them - I couldn't have one so I loved getting to borrow theirs. We played cops or military games. None of us were violent kids. None of us grew up to be violent adults. Well, a few joined the Army but there is a big difference in that and going out on a shooting spree or joining a drug cartel or armed robbery. My mom didn't agree with toy guns because not long after I was born a boy was killed by accident by police because he held up a toy gun in a dark area where they didn't realize 1. It was a child and 2. It was a toy. So, she was always very paranoid about that. Great post - you’re right it is a very emotive subject, I remember playing goodies and badies with my brothers when young and nothing was said. Living in rural France with our kids now we live in the heart of a very active hunting community - hunting is a way of life here, the kids school friends come from French hunting families and guns are actively displayed in peoples homes (out of reach of the kids) but visible for all to see. My initial reaction was not to have 'gun play' in the house, but last year the school end of term play was a hunting scene where a deer was shot and taken to the table - sounds scary but the kids were all dressed up and it was quite entertaining. I remember thinking "this would not happen in the UK", so now I have relaxed my thinking and guns is a part of their play, I have not bought them guns - they just find sticks and use their imagination. Very well said. It's hard to 'like' a toy gun and when my first son was little I swore he'd never own one. But then I realised he (and then his brother) would make anything into a toy gun. A stick from the garden, a loo roll and they'd make guns out of Lego. My three year old also went through a stage of wearing his sister's Hello Kitty headbands and I realised I couldn't impose my view on either the made up guns or the headbands. It's a natural exploration for children and I think we can do more harm making a big deal out of these things than not. The way my children play seems (fortunately) healthy and 'normal' to me so I let them get on it with now with some boundaries for behaviour. What a brilliant post Sarah. I always said that no son of mine would play with guns, but in the wise words of my mother-in-law, if you don't give them a toy gun to play with then anything and everything else will pretend to be one (sticks, saucepan handles etc), which it did, so toy guns and sword have become resident in out toy box. Yes there is the inevitable running around and shouting that comes with them but my son also othen plays 'Mummys, Daddy's and Darlings' with his little sister or my nieces, so, you know what I don't think he is any less rounded as a result. It seems many of us have the same issue, even if we don't allow them to play with toy guns, our children will generally find other objects and simply "pretend" that they are guns. My 9 year old has a vast array of toy guns in the form of lego pieces put together in a gun shape, pens, harry potter wand, and if all else fails he uses his fingers. Maybe if I actually bought him a plastic gun he wouldn't use everything else as a gun? Toy gun is very popular toy for children. Most of them like this very much. They always like to play with it. 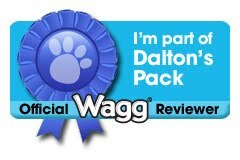 I have a wab site. Anybody can find deferent kind of toy gun here. Everybody welcome to my Toy guns for kids site.